The IPM Experiential Community has announced a unique event partnership for February 2019. The IPM will be an Association Partner of the Event Production Show and sole sponsor of the Brand Experience Theatre – a unique presentation and networking space located at the heart of the event. 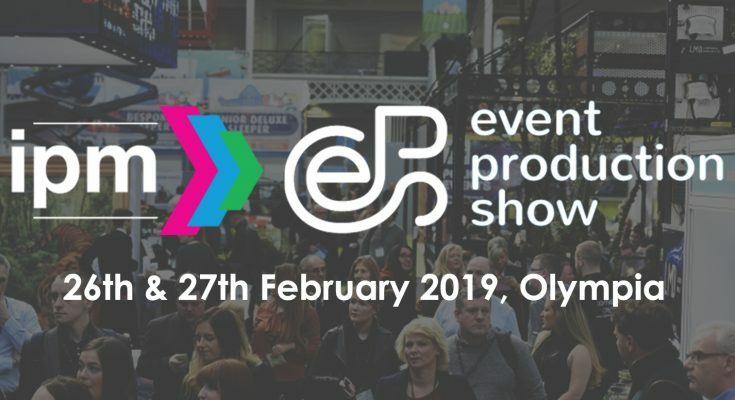 The Event Production Show, taking place at Olympia London on the 26th and 27th February, is the number 1 show in the UK’s live event sector. EPS supports its visitors in planning, organising and implementing successful standout events, whilst allowing them network with people from across the industry. The IPM Experiential Community will be hosting a number of sessions in the Brand Experience Theatre, including an update the recently launched experiential marketing effectiveness tool, which aims to demonstrates that experiential marketing can and should be measured. There will also be a presentation on the future of event staffing. To find out more and reserve a pass to the show, click here.